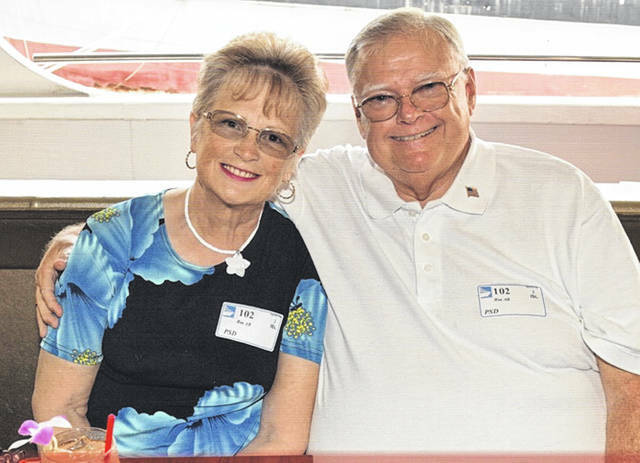 EATON — Kenneth R. and Ruby (Smith) Lipscomb of Eaton will celebrate their 50th wedding anniversary on Feb. 5. The couple eloped Feb. 5, 1969, in Asheville, North Carolina. They are the parents of three children: Stephen Lipscomb, Sherry Gadd, and Jennifer (Bill) Puckett, all of Eaton, and nine grandchildren. The couple currently have six great-grandchildren, with three more expected this summer. The couple celebrated by treating their family members to a celebration dinner at Red Lobster. They love to travel, and for a special anniversary trip they spent 15 days in Waikiki Beach, Oahu, Hawaii, where they enjoyed a sunset dinner cruise aboard the Star of Honolulu.